Botswana is traditionally about self-drive safaris, rough off-road driving and camping, the kind where you erect your own tents. And packing, lots and lots of careful packing. Not this time, though. 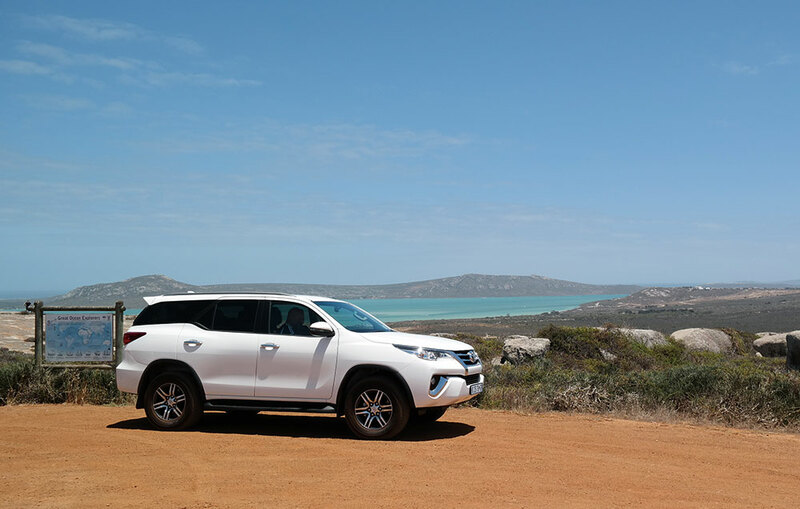 This time, Jacqui Ikin got a taste of luxury. One week later, we leave the frenetic pace of Johannesburg behind and head north. 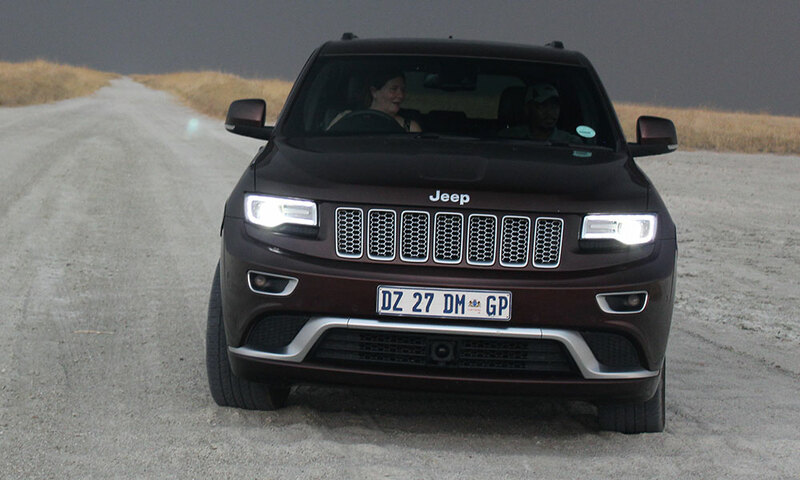 There is the usual traffic and minor delays, but eventually the road clears somewhat, and the large Jeep Grand Cherokee surges forward, as if also relieved to finally be rid of the restrictions of urban driving. Reaching the city limits, I open the window and take a big gulp of fresh air; we are finally on our way. The drive is uneventful, and we reach our destination in the early afternoon. 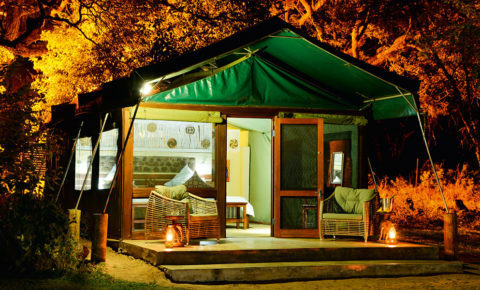 Tom Burke is a little town situated almost on the border of Botswana, and our lodge – Bua Nnete – is perfectly situated for an early border crossing. The lodge is peaceful, our room is cool, and the water in the shower hot. We have chicken schnitzel for dinner, cooked to perfection by the friendly chef Tendai. 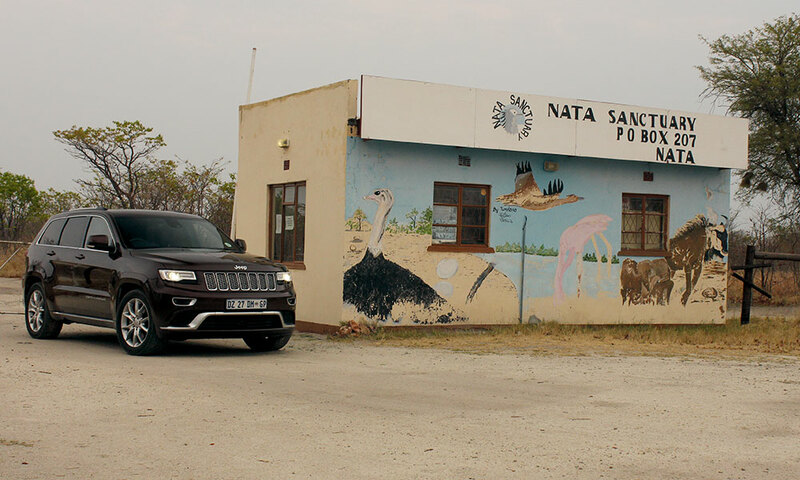 We enter Botswana through the Groblersbrug/Martin’s Drift Border Post early the next morning. As we cross, I feel all the tension seeping out of my muscles. This country always feels like ‘coming home’ to me. The tar roads, for the main part, are excellent, and we make good time. Around Nata, the road deteriorates quite badly, a result of flooding earlier this year. 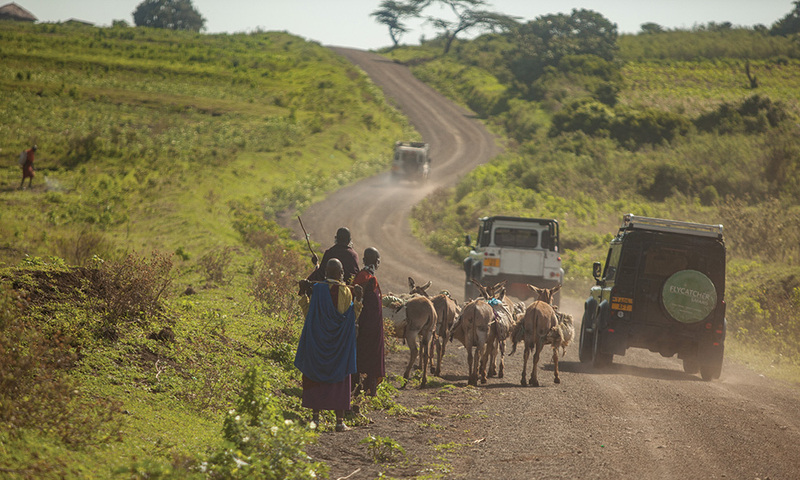 You know the roads are challenging when even the huge trucks (many from distant places like the Congo) slow down to a crawl. 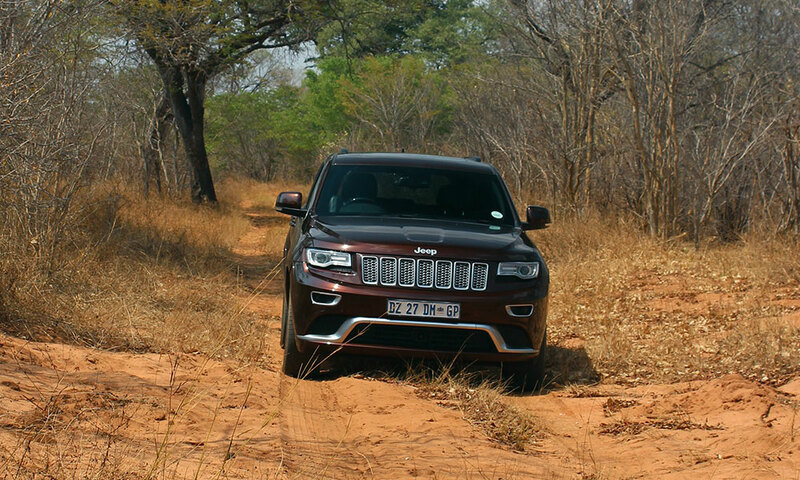 The big Jeep takes it all in its stride, but I wouldn’t like to travel these roads regularly in a tiny vehicle, especially in the wet weather. 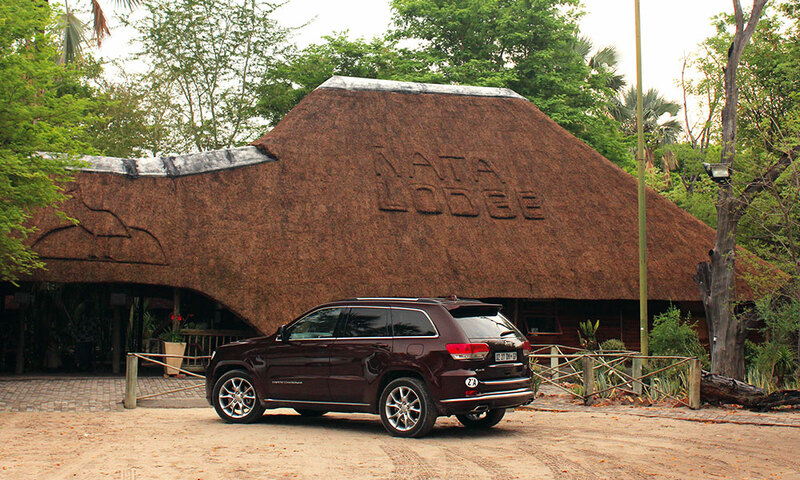 We reach our destination, the beautiful Nata Lodge, just before midday. We are met with a sign that the Department of Meteorological Services has issued a heat wave warning, informing us to expect temperatures of 410 Celsius. Feels about right. 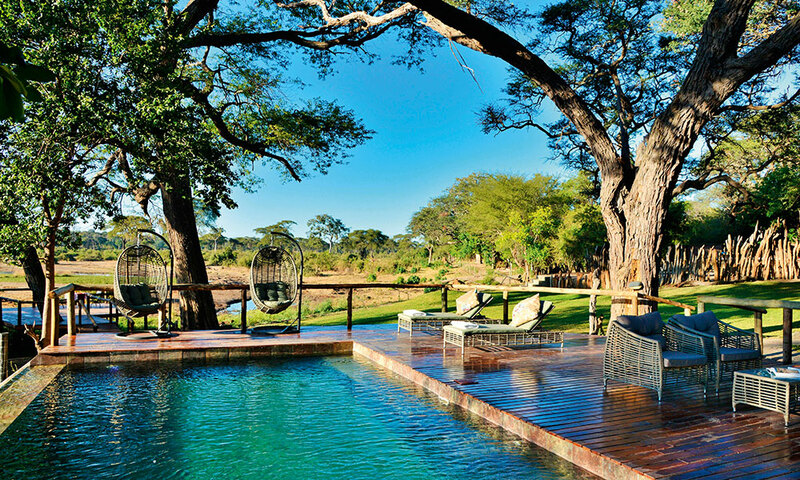 This oasis, set among the mokolane palms, burnt down in September 2008, but has been completely rebuilt. We settle into our luxury thatched chalet, and then amble into the bar to grab some lunch. There’s a rumbling in the distance that sounds like thunder which we dismiss as a figment of our imagination. Soon the sky is black and the smell of rain is in the air. We jump into the Jeep with our guide Gobe Nkanyezi, and shortly after arriving on the Makgadikgadi Pans, the storm breaks with a barely controlled violence. The rain is beating against the Jeep, and the African equivalent of tumbleweed (with hard, woody stems) is blowing everywhere. Even after we raise the Jeep to the off-road 2 height setting, we have to stop regularly to clear the bushes from under the vehicle. A while later, we head slowly back to the lodge, drenched, tired but exhilarated. I love storms. They remind you that you’re alive, and part of this Earth, putting you directly in touch with the elements. And the aroma, that scent of rain on African soil! I’m like a drowning being who can never get enough of that cool, crisp air that seems to carry the very DNA of Africa in its essence. Quietly soaking in a ball and claw bath after our adventure on the pans, watching the lightning and listening to the thunder as huge storms continue to roll over the Makgadikgadi Pans, it occurs to me that there are fortuitous times in life where dreams and reality collide. This trip is one of those occasions. I contemplate the journey so far. 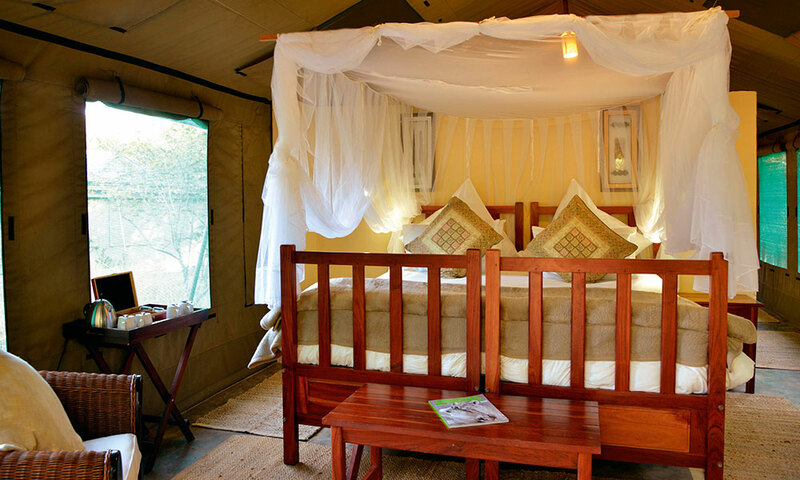 Botswana is traditionally about self-drive safaris, rough off-road driving and camping, the kind where you erect your own tents. And packing, lots and lots of careful packing, unpacking and protecting provisions from monkeys during the day, and hyenas at night. This time the basic tenets remain, but with a twist: self-drive (in grand style), packing (a complete lack of) and canvas abodes (sumptuously comfortable, with no effort). Never again will I view ‘camping’ in the same light. Later, we meet up with James French (the general manager) for a quick chat, followed by a delicious dinner. We get a blissful night of sleep, with the soothing sound of rain continuing. A pre-dawn trip to the pans turns out to be a dull, overcast affair, and after a quick breakfast, we’re back on the road again, heading towards Kasane. We arrive at Elephant Valley Lodge in the early afternoon, and are introduced to the charming Kristin and Florian (the managers and hosts for our stay). 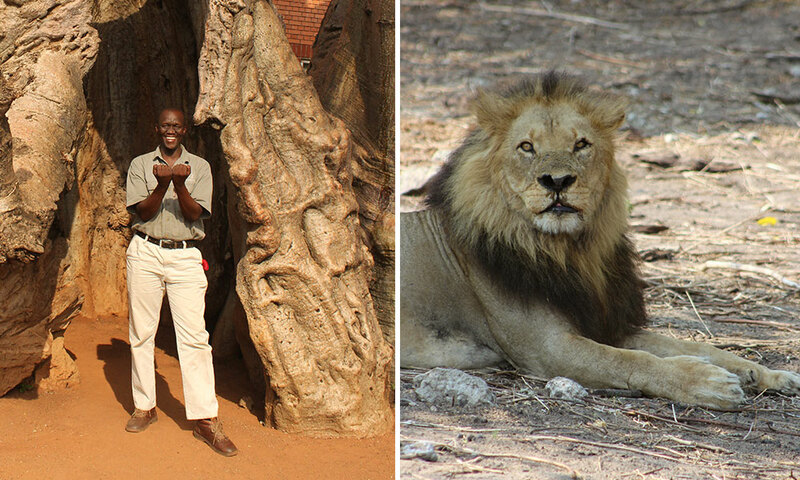 We are just in time for a late lunch, and then we meet Lebo (Lebogang Hiri): a man I will come to respect as one of the best field guides I have ever had the privilege of spending time with. It slowly dawns that he, a dedicated game-drive vehicle and even a boat are at our disposal for the duration of our stay. We are beyond delighted. We immediately elect to go on a game drive into the Chobe National Park. The rain has left the park clean and fragrant. After taking a back road through the teak forests, we enter the park and wind our way along the river. Suddenly, we see a spotted shape, and then a second. Two leopard cubs, gambolling in the cool afternoon. Soon their mother makes a brief appearance, she, far more wary, and they all disappear into the scrub. When you use the word ‘highlight’ in an article, you’d better be sure it lives up to the hype. I can confidently say that our game drives were highlight after highlight. 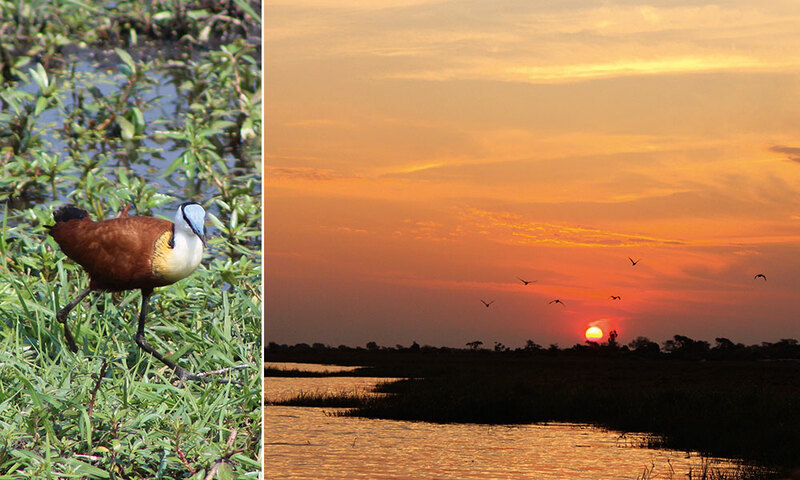 We stopped briefly for sundowners, and then started back as the gates of the Chobe National Park close at specific times (night drives in the park are not allowed). Getting back to camp after dark, we only have time to swap the suntan cream for mozzie repellent, and head to the boma for an elegant dinner, overseen by the amiable Eugene Raerama, the assistant manager who has been at the lodge since 2002. 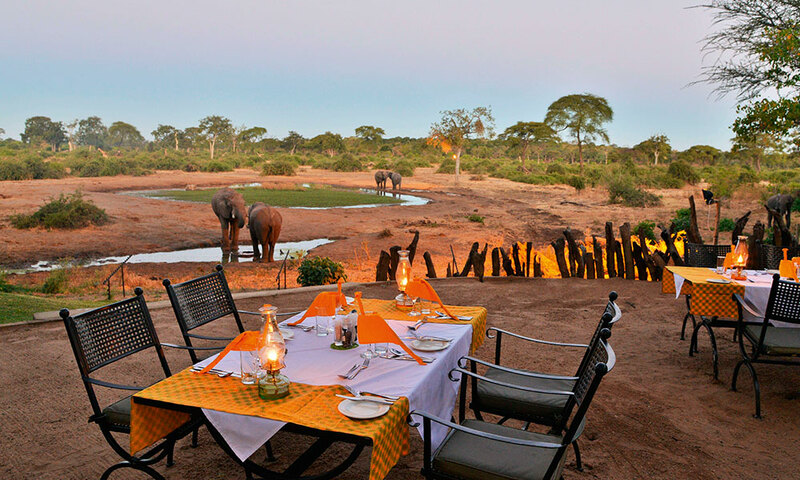 We decide on another day of game drives, which proves to be a decision we don’t regret. We leave after breakfast, to miss the hordes of safari vehicles heading into the park at dawn. Despite the heat, we have an incredible day. At one point, we stop on the river drive. The temperature has now escalated to over 38 degrees, and the plains shimmer in the heat. A huge giraffe bull crosses the plains in the distance, and the call of the fish eagle rings out over the peaceful scene. Is there a more definitive African sound? A jacana trots around on the edge of the water, and we learn that the female African jacana is polyandrous (she mates with multiple males). The male builds the nest, incubates the eggs and cares for the chicks. He carries the chicks beneath his wings to keep them warm and dry until they’re about 18 days old. An interesting discussion follows about communication in acacia trees. These trees fortify themselves against excess browsing with thorns. However, they have another intriguing, lesser-known method of protecting themselves: when being browsed beyond what they consider reasonable, the trees release unpalatable tannins in doses that can be lethal to browsers. What’s even more fascinating is that the ‘wounded’ tree emits ethylene gas which is carried downwind to others that in turn release tannin to protect themselves. Due to this phenomenon, you will notice browsers moving upwind to browse the next acacia. The next fascinating conversation we have with the legendary Lebo is around… collective nouns. Did you know giraffe have at least three? A tower of giraffe (when they are stationary), a journey of giraffes (when they are walking) and a stretch of giraffe (when they’re running). Elephant in turn are called a parade when they are marching in single file (nose to tail), and a herd when they are, well, in a herd. In the early afternoon, we drive further along the river than before. The scenery changes from forest to open savannah. As the heat goes out of the day, Namibia seems closer, and the river is like glass. We stop briefly for sundowner snacks and drinks, and head to the gates which are closing soon. We hurry along the now quiet roads, as the sun rapidly sinks behind us, a huge fiery ball on the horizon, reflecting pink into the clouds building up. The light fades fast as a sickle moon becomes visible. We see a herd of elephant, now just dark shapes moving against the outline of a hill, ghostly in their silence. As we continue, we are alone with our thoughts. 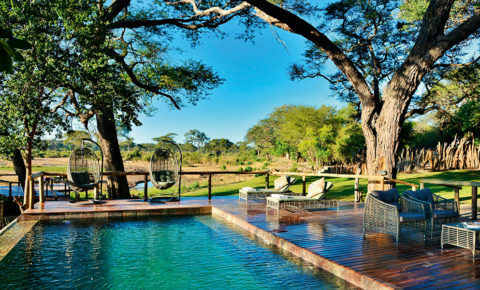 When we get back, the night is still warm and after dinner we have a swim in the plunge pool which overlooks the plains. Life is good. I wake with the dawn. The sun is not yet up, and the silence is blissful. The cacophony of the frogs has finally let up. In the distance I hear the eerie whoop of a lone hyena as if saying a final goodbye to the dark night. Slowly the birds start to twitter and the day begins. 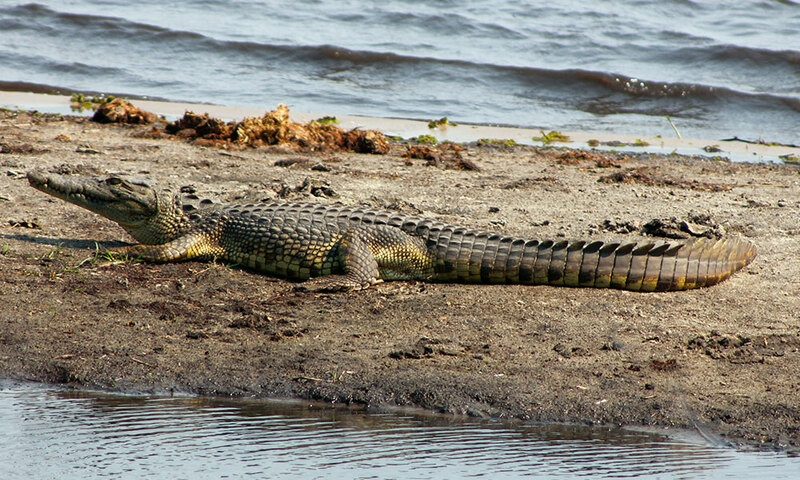 Cruising the Chobe river is on the agenda and so we get going. We drive through Kasane en route, an interesting frontier town, where warthogs nonchalantly mince across the street at their leisure. Sometimes fact is stranger than fiction, like the possibility of being imprisoned in a tree. We visit a huge baobab, located directly behind the current police station, which historically served as both a prison and a post office. 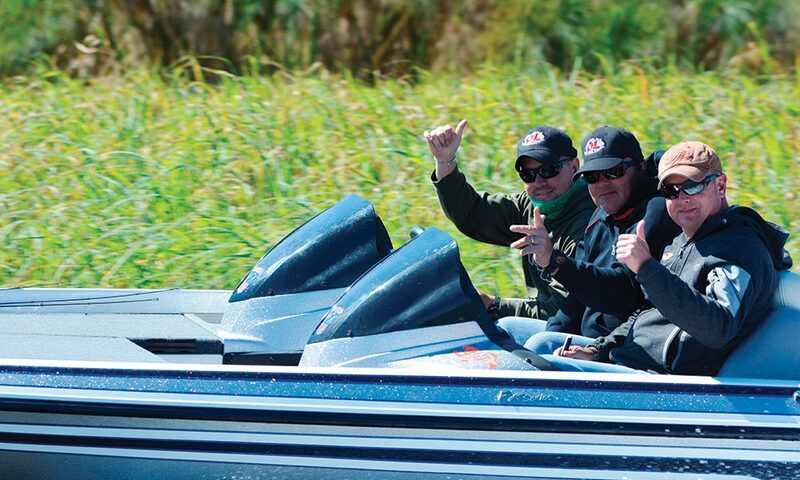 The day on the water is predictably spectacular. 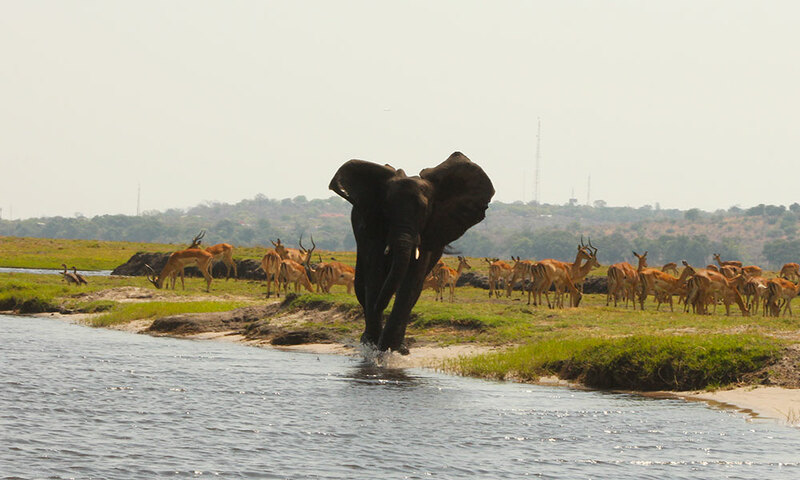 As the morning goes on, more and more elephant come down to the river. We eventually count over 120 on the one bank. They drink and cavort in the water, but they are actually waiting, quietly gathering in order to swim across to the islands together. We eventually move on, and stop at an island where there is a huge herd of impala, and a group of elephant quietly getting on with life. Luckily, Lebo keeps the motor running. We watch as a young female elephant trumpets and scatters the impala, you can actually see the glee on her face. We are highly amused… until she slowly turns and focuses on us. With another trumpet she comes, charging through the water. We make a quick getaway. In a short while, we stop again, this time for tea and biscuits. My hands are still shaking. 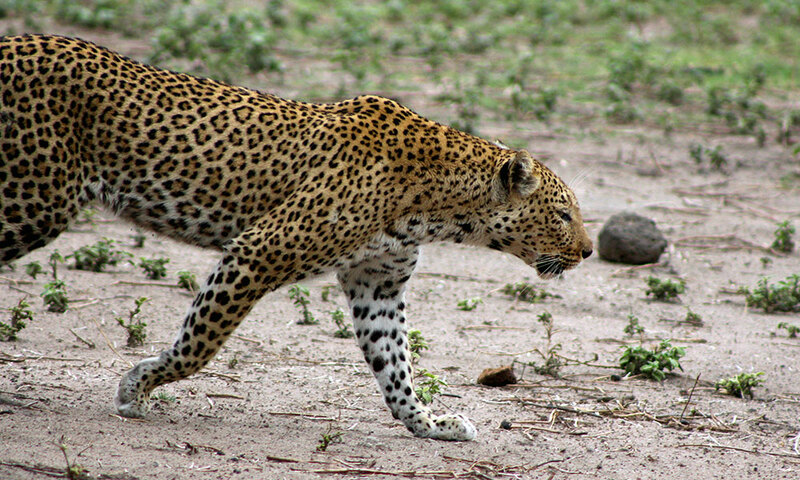 Lebo tells us the story of Sedudu, five square kilometres of island in the middle of the Chobe River, that was the subject of a territorial dispute between Botswana and Namibia. It’s a long, complicated saga, which basically came about due to the vague wording in an agreement signed in 1890. After much exploration of the depth and the width of the channel, the water volumes, the profile of the riverbed and the navigability of the channel, the International Court of Justice in The Hague ruled in favour of Botswana in 1999. We see the national flag flying on the island, proudly proclaiming Botswana’s win. I reflect that this is one of those moments that I will remember for a lifetime. Leaving Kasane in the cool of the early evening, the smell of frangipani mixes with wood smoke. The curio vendors are closing shop and quietly walking home, while a group of children use the last remnants of light to play a quick game of soccer. We stop for a group of kudu crossing the road, and then continue on into the night. A romantic name for what is still a romantic place. 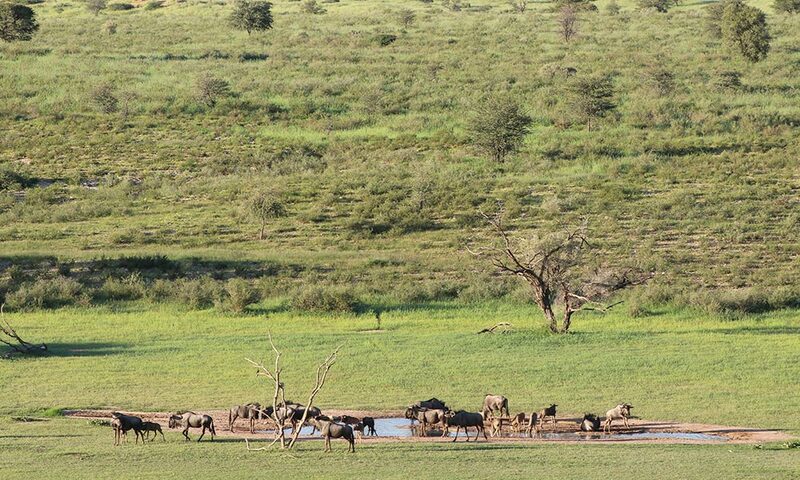 The country on either side of the road is still as wild as when Selous hunted here. It was, in its heyday, the most direct route taken by every hunter, trader, photographer, artist and adventurer headed for Victoria Falls via Tati. This wine is dedicated to all those who are able to set themselves free and journey to these wonderful places of yesteryear and the present. We leave early the next morning and get into Jozi late in the afternoon. 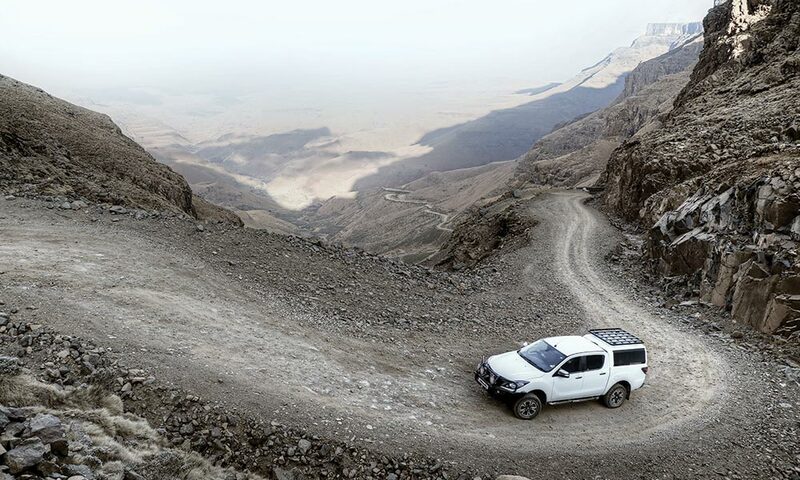 Time to shake the dust out of our shoes, and start planning the next safari.